A few people told me they really loved the little birds box last week. 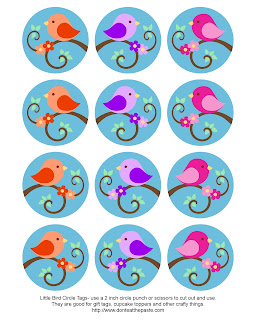 When I drew the birds I was thinking they might be cute in a few things including circle tags. I love circle tags. One of my favorite uses for them is using them on printable iron-on fabric to use as patches. 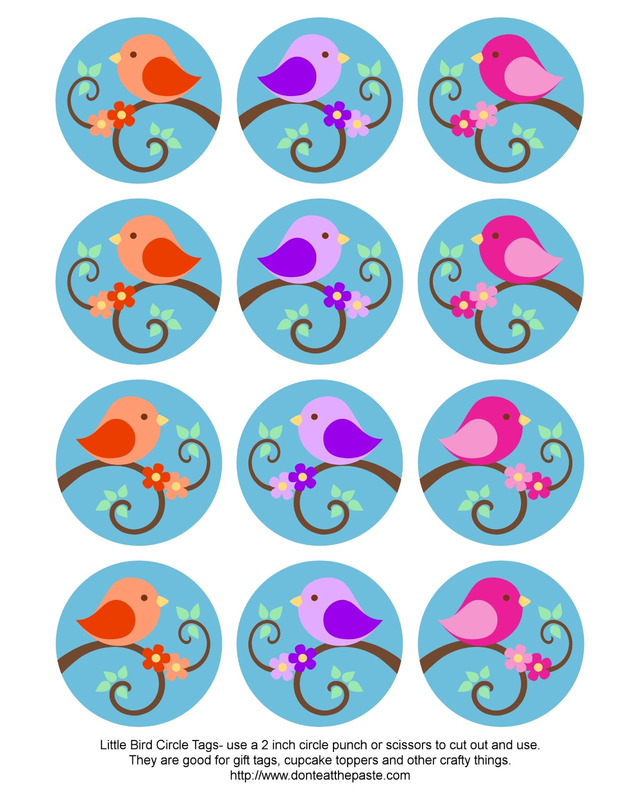 They can also be used as gift tags, or glued to cut down skewers or long toothpicks as cupcake toppers, or printed on paper and used with spray adhesive as decals for scrapbooking. 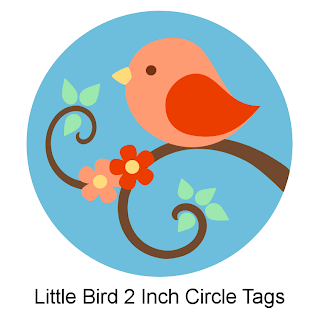 I hope you like this little circle tag! Click on the image for a large version to print. Print on whatever medium works for your purposes. 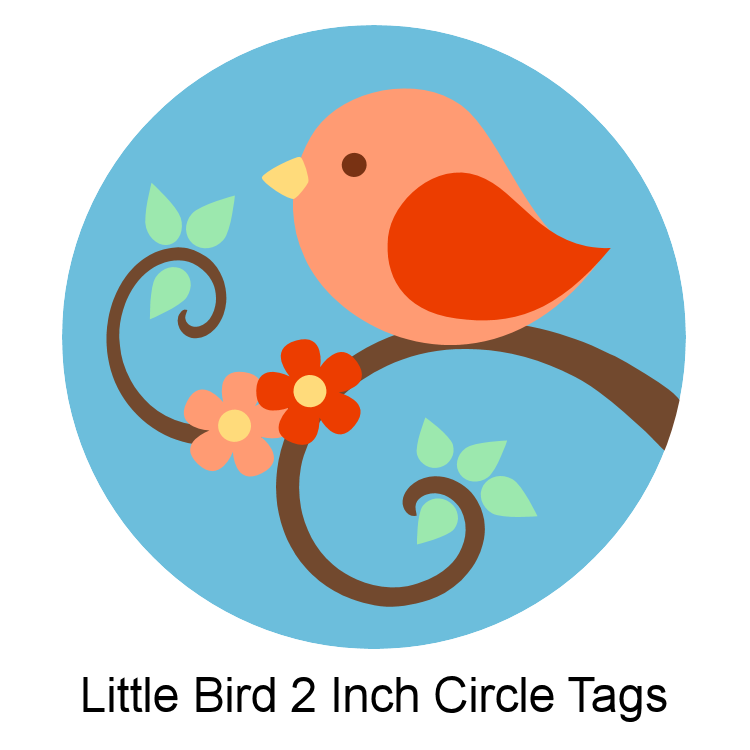 This is an example of another circle tag that I made and turned into a patch using iron on fabric. The edges did start to peel up after a year of constant use. My son carries the bag daily and opens and closes it a few times a day. So if it's going through that kind of use, stitch the edges! The first link is the circle punch I use. It's got some negative reviews so be sure to read the reviews! My own experience is that I've had to replace mine once in 4 years, and it got misaligned/broken because of improper use by a family member (it was upside down, trying to go through chipboard. He bought me a new one). I've used it on aluminum cans, card stock, and paper. It doesn't handle very thin paper well but does great on the printable fabric! 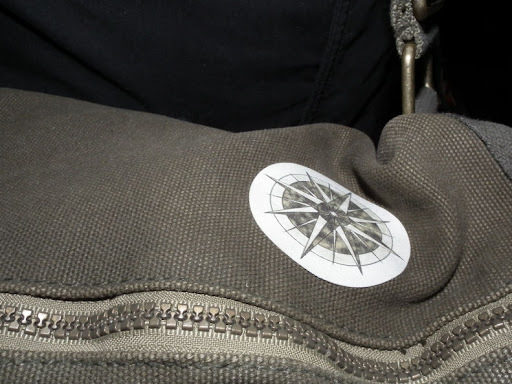 The second link is the printable fabric used for that patch.